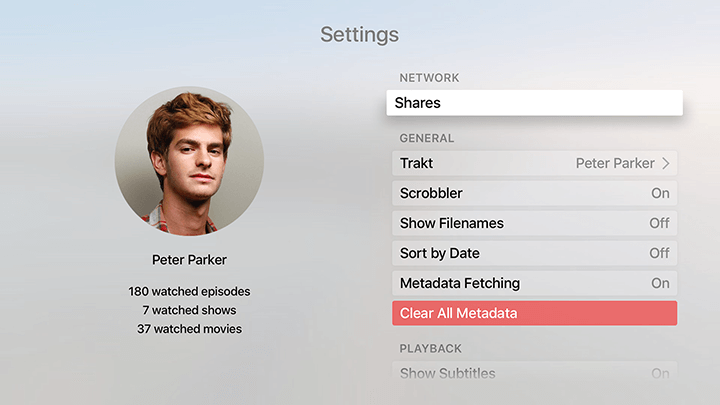 Point Infuse at where your videos are stored and it will get to work cataloging your movies, TV shows, and other videos in seconds - adding all pertinent details and artwork along the way. Now deciding what to watch has never been easier. 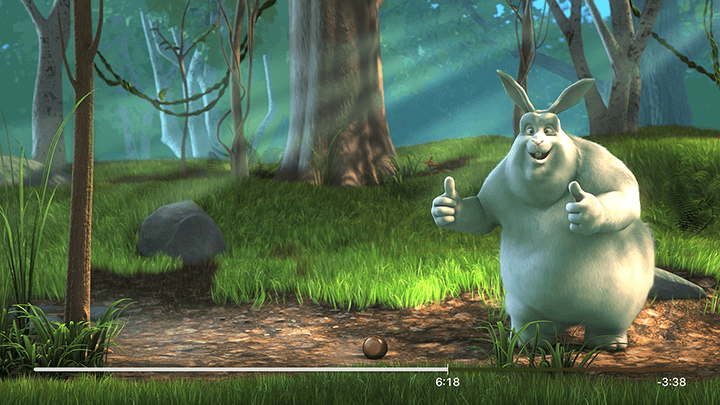 Enjoy silky smooth video playback with efficient HW decoding, plus intuitive options for multiple audio tracks, video zoom, and awesome subtitle support powered by OpenSubtitles with a host of customization options. Not only is trakt a great way to keep tabs on your watched history, Pro users can also use trakt to keep playback progress in sync between multiple devices (both tvOS and iOS). 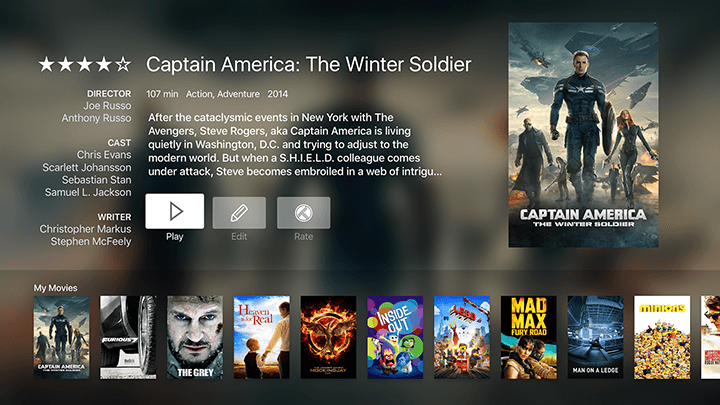 Start watching a movie on your iPad, then finish it on your TV - Infuse will keep everything in sync, automatically. Wherever your media is stored, Infuse can stream it. That includes a Mac, PC, NAS, wireless drive, or a server app like Plex, Kodi, or Serviio. Any local devices will be detected in seconds making setup a snap. Upgrade to Infuse 4 today...for free! Yes, your heard that right! As an early Christmas present, we're making Infuse 4 for Apple TV a free upgrade for all current Infuse for iOS users (v3 or later). Infuse 4 for iOS will also follow as a free update later this year. 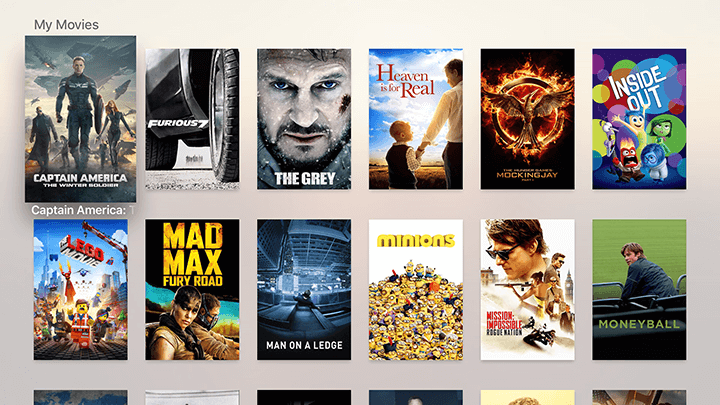 Search for Infuse in the App Store app on Apple TV. Download Infuse or Infuse Pro on a computer or iOS device, then locate Infuse under the Purchased tab in the App Store app on Apple TV. We're so incredibly grateful for people like you who have supported us up to this point. It's a great privilege and honor to be able to touch so many people with the things we create, and without you none of this would be possible. We think you're going to love this new release so I hope you check out everything that's new in Infuse 4. Also, this 4.0 release is just the start, and we have a whole pile of exciting additions we're working to have available very soon. As always, we love hearing from you - so please feel free to post a comment below or drop us a note with any thoughts or questions you may have.